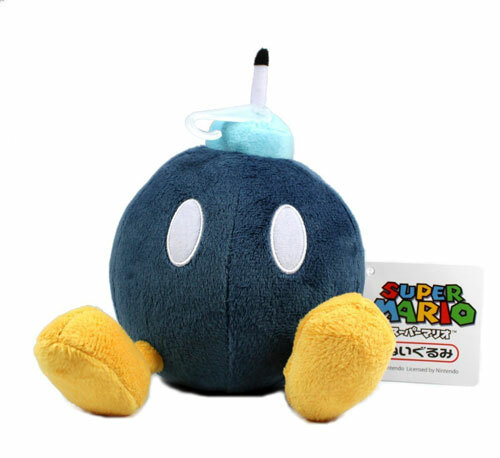 The product Super Mario Bob-omb plush puppet toy is made by San-ei and imported from Japan. This puppet is high quality, well made, and safe. The length of this item is approximately 5 inches. The manufacturer recommended the product for the children above 3 years.